Julie Houts has cultivated a devoted following as `Instagram's favourite illustrator' (Vogue) by lampooning the conflicting messages and images women consume and share with the world every day. A collection of darkly comic illustrated essays, Literally Me chronicles the daily exploits of `slightly antisocial heroines' (Refinery29) in vivid, excruciatingly funny detail, including: The beauty routine of a deranged bride who aspires to be `truly without flaws' on her wedding dayWhat happens when Kylie Jenner has an existential crisis and can no longer `step out'A journey to Coachella by the Four Horsewomen of the ApocalypseThe true dating confessions of a fembotThe terrifying description for Alice Staunch's book How to be the Perfect Feminist Literally Me marks the launch of a brilliant new social satirist. 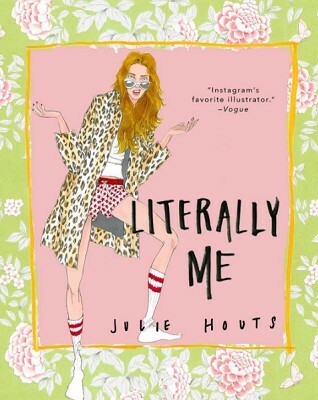 Julie's singular voice and beautiful illustrations reveal the truth about the absurdity of life in the social media age: the line between becoming a total `Girlboss' and a 21st-century American Psycho is razor-thin.